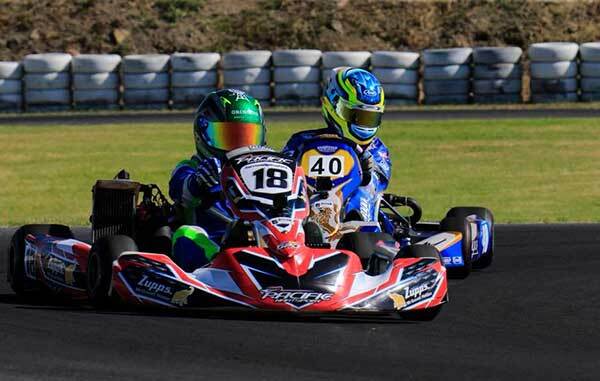 A number of breakout wins for Rotax Pro Tour category debutantes and established stars were the highlight of the opening round of the 2018 Australian Rotax Pro Tour held in scorching conditions at Melbourne’s Todd Road today. World DD2 Masters Champion, Troy Woolston completed a perfect weekend taking the category win in his CC Racing Kosmic, however he was made to work for it. He was pushed back to fourth on the opening corner and had to graft his way forward, eventually getting past fellow Todd Road local, Jason Pringle. 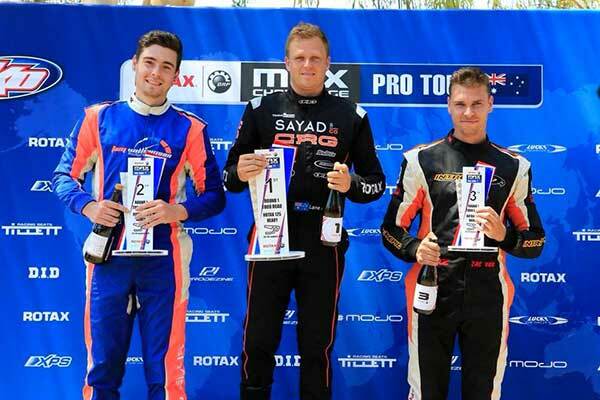 He continued to build his advantage to get the win over Pringle and Kris Walton who came from deep in the field to record another Pro Tour podium position in his Z Corse CompKart. Post race, Pringle was handed a penalty for a jumped start, which handed third place to DD2 Masters first timer, Toby Pope. Spaniard Jorge Pescador showed why he is one of the world’s best, the factory Praga driver scoring a dominant win in DD2. He led from late in the first lap, however didn’t pull an appreciable advantage over Queenslander Ryan Kennedy. 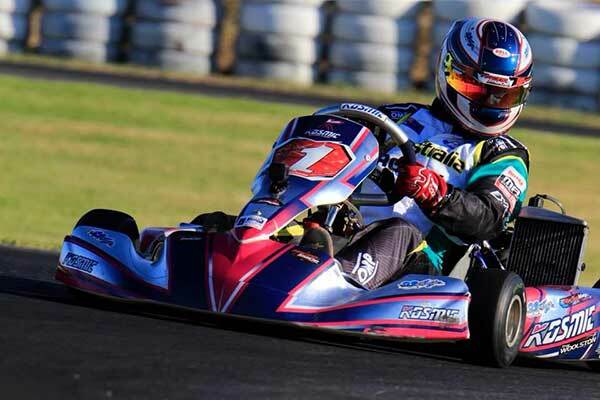 After a slow start last year, Kennedy started his season off in perfect fashion with his Formula K kart coming home in second placing, while JC Kart driver, Damian Ward collected a podium upon return to the Pro Tour after leading the opening half a lap. 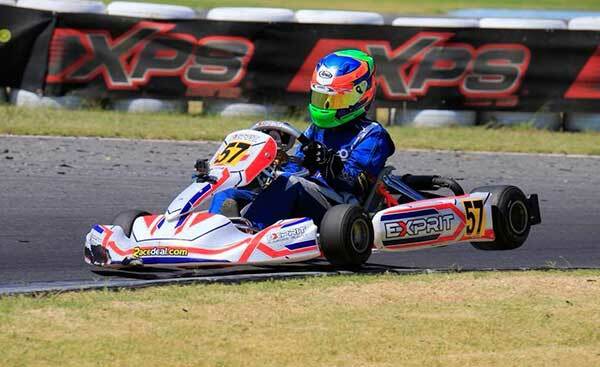 The biggest upset came in Rotax Light when Sydneysider Brodie Whitmore took his Exprit Kart to victory in dominant fashion. 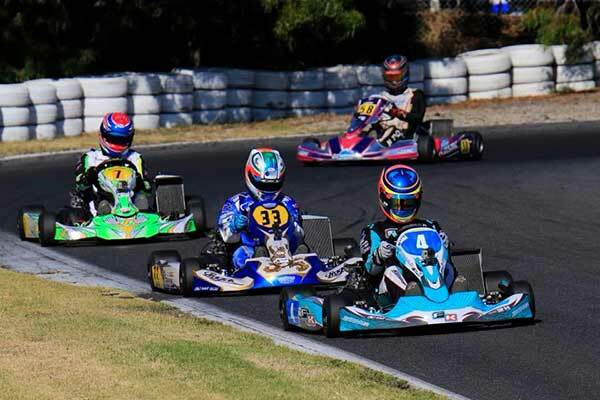 Making the step to Senior competition against an oversubscribed field and having not driven a kart since the final round of the Junior Max Pro Tour in Albury last year, Whitmore was sublime in working his way into second from the second row of the grid and then chasing down and passing the class of the field this weekend in Joshua Rogers. 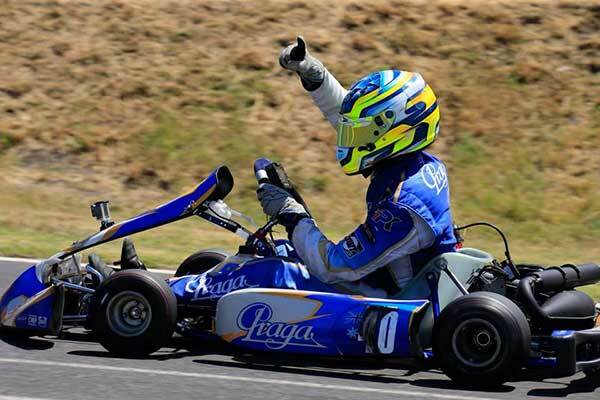 Rogers then got involved in a battle with Leigh Nicolaou and his Praga team-mate, Josh Hart – the two Praga drivers almost coming to blows on the main straightaway. Whitmore meantime just kept his cool and concentrated on his own race which resulted in a dominant breakout victory over Nicolaou and Rogers. Lane Moore’s return to Rotax Pro Tour was an absolute success taking the Rotax Heavy Grand Slam – all three heat races, the Pre-Final and Final. He wasn’t headed in the Final. 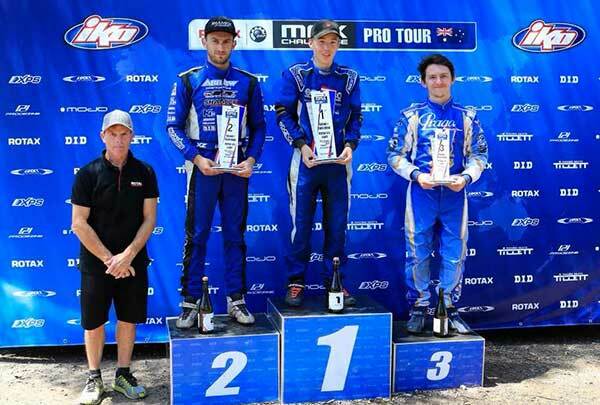 The impressive Ben McMellan scored his first Rotax Pro Tour podium after a super weekend all along and Zac van Leeuwestyn secured a well deserved third placing after what had been an encouraging weekend for the Novocastrian. Another popular victory came with Goulburn’s Costa Toparis. 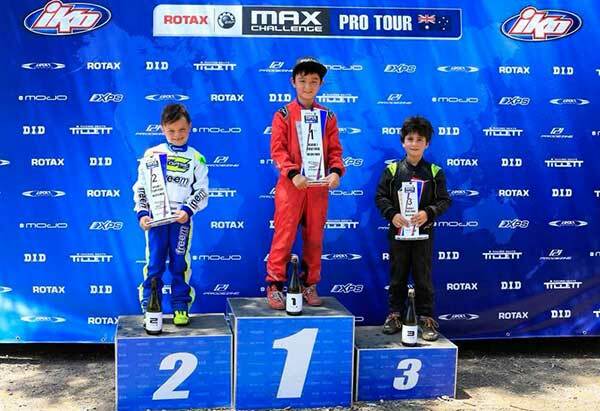 After setting the pole time yesterday, the Mini Max debut driver got to the front early and pulled clear – leaving the remainder of the field to battle for the rest of the podium. Scuderia PCR Australia’s Cody Maynes-Rutty waited until half a lap to go to make a decisive move on Ethan Feather for second position after the pair had battled all race long – with Kristian Janev chiming in on occasion as well. Feather crossed the line third with Janev right behind him. Junior Max proved to be just as exciting and competitive as it promised to be. Weekend long front runner, Jaiden Pope wasted little time getting to the front. A challenge from James Wharton soon started to build. The pair of them ended up colliding at turn one which put Pope out of the race and ultimately resulted in Wharton being disqualified post race. That left Kiwi Ryan Wood at the front, who had Jarrod Hughes right behind him. 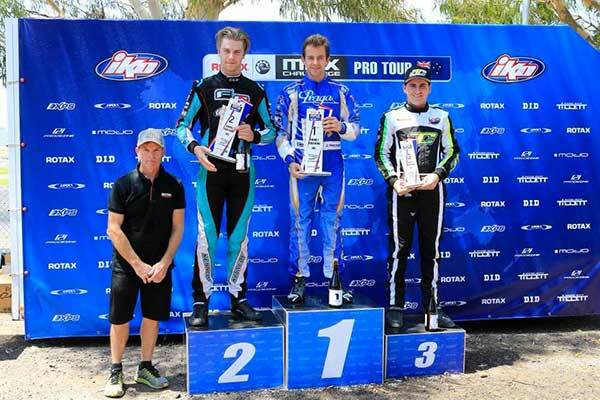 Queenslander Hughes started 12th and by the second corner was up to sixth – with the action in front he was able to get himself in position for a podium. William Seal looked as though he would have a well deserved podium locked in until the wheel came adrift on the #95 Castrol Kosmic – spearing him off at the hairpin in dramatic fashion. This elevated Jack Grambauer to third position who had been locked in a fight with Luke Pink at that stage. 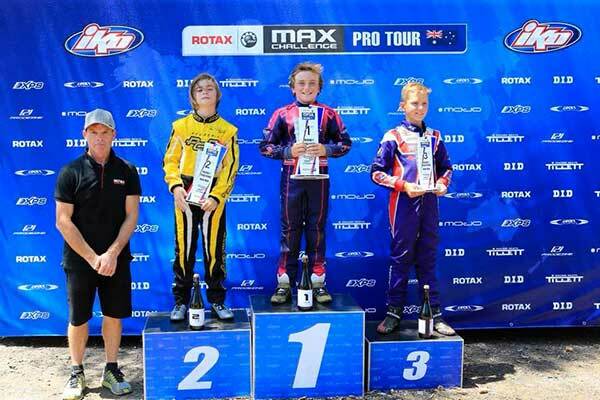 Grambauer was able to hold on for his first Rotax Pro Tour podium. Micro Max looked like a great end to the weekend long battle between Jake Rutkowski and Peter Bouzinelos. The two Shamick Racing drivers looked to have the running until Rutkowski spun from the lead early in the race at turn one. This gave Bouzinelos the lead – one that he wouldn’t relinquish. 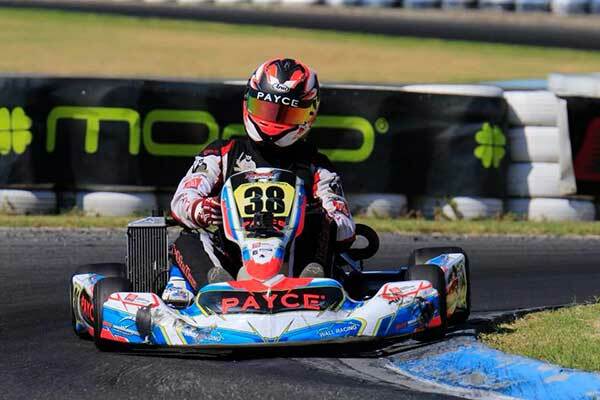 Z Corse CompKart driver, Jaxson Burns scored his first major podium – much to the delight of the young Queenslander and his family and Bradley Majaman was awarded third place after the race when Max Walton had a two place penalty for a bodywork violation. 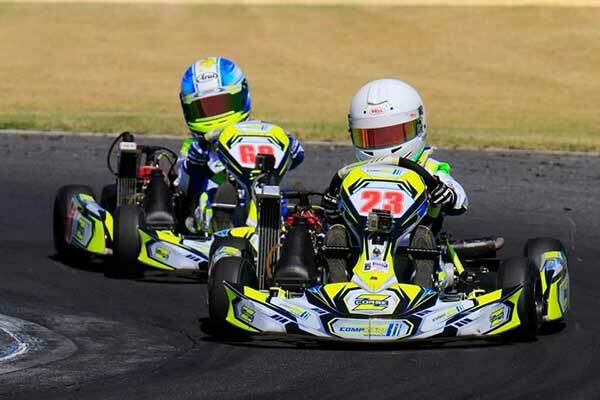 The next round of the Rotax Pro Tour will be conducted at Dubbo’s Lincoln County Raceway in New South Wales over the weekend of March 9-11. 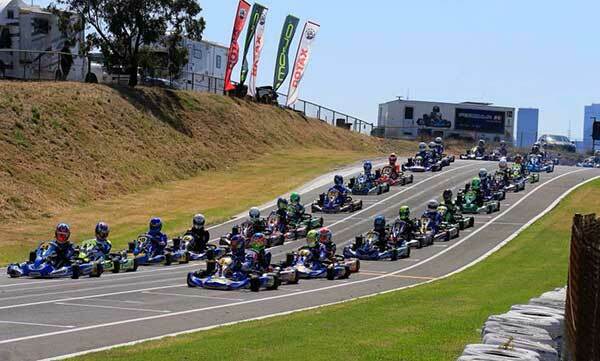 The first opportunity to score Rotax Rankings Points to the Rotax Max Grand Final Challenge this year to be held in Brazil has not disappointed with some unexpected results and some old favourites bouncing back to form. 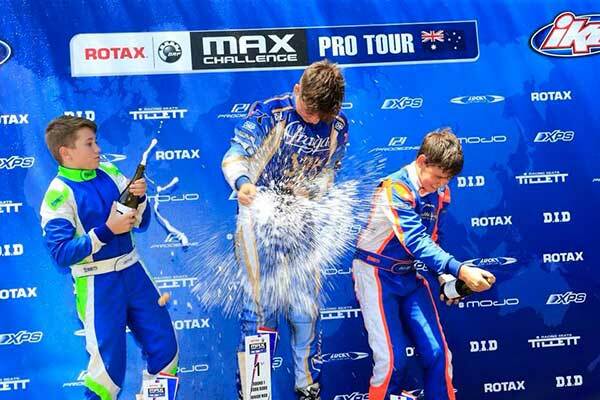 For all the information on the Rotax Pro Tour head to www.rotax.com.au.